A recent study examined a probable case of oral doxycycline inducing pancreatitis in a patient initially treated for Lyme disease. However, there have been only two documented cases of doxycycline causing acute pancreatitis. The authors case report of acute pancreatitis was caused by diabetic ketoacidosis. Study examines doxycycline as cause of acute pancreatitis in patient initially treated for suspected Lyme disease. The authors did not rule out other well-known etiologies of acute pancreatitis. The man presented with poorly controlled diabetes with a HA1C of 15 (normal, <5.7%), a blood sugar of 11,161 mg/dL (normal, 65—91 mg/dL), acidosis with a ph of 7.12, serum osmolality of 420 mOsm/kg (normal, 285—295 mOsm/kg), and renal failure with a creatinine concentration of 4.6 mg/dL (normal, 0.5—1.3 mg/dL). The man rapidly improved with standard treatment for diabetic ketoacidosis. He was intubated, started on vasopressor support; received aggressive fluid resuscitation, hemodialysis and an insulin infusion. 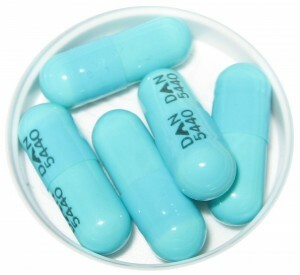 There are side effects of doxycycline including photosensitivity and c. difficile. Typically, acute pancreatitis is not one of them. This patient’s illness was not caused by a 3-day course of doxycycline. In fact, the case study could only find two reports of doxycycline causing acute pancreatitis. Moy BT, Kapila N. Probable doxycycline-induced acute pancreatitis. Am J Health Syst Pharm, 73(5), 286-291 (2016). Gonzalez-Perez A, Schlienger RG, Rodriguez LA. Acute pancreatitis in association with type 2 diabetes and antidiabetic drugs: a population-based cohort study. Diabetes Care, 33(12), 2580-2585 (2010). Nair S, Yadav D, Pitchumoni CS. Association of diabetic ketoacidosis and acute pancreatitis: observations in 100 consecutive episodes of DKA. Am J Gastroenterol, 95(10), 2795-2800 (2000). 10 Replies to "Doxycycline not to blame for acute pancreatitis"
I took Doxycycline Hyclate 100mg on 6/21/2016 for 10 days. July 1, 2016 I started having pain in my abdomen. The pain became worse. I couldn’t stand to eat or drink. On July 5th I was admitted into the hospital for sever pancreatitis. I thought I was going to die the pain was so bad. I do blame the Doxycycline Hyclate for the attack. I was in the hospital for 11 days. This was my third pancreatitic attack in a year. The first attack was due to antibiotics. In Jan 2015 after a staph infection from spinal surgery turned into osteomyelitis. I’m sure you know the treatment for osteomyelitis, lots of intravenous antibiotics and eventually orally. April 2015 I was readmited to the hospital for severe pancreatitis due to antibiotics. I guess the rest of my life, I will be praying to never need any type of antibiotics again. Thanks for sharing you story. There are other antibiotics not related to doxycycline. Let’s hope you never need them. First, thank you for commenting on the study that linked doxycycline use with pancreatitis. I was hoping that someone with some medical authority would question that assertion that was based on very thin (nonexistent?) medical evidence. Second, I wonder if it is possible that Lyme itself is causing problems with the pancreas. I do see that late Lyme’s evil third cousin, syphilis, is linked with pancreatitis in the medical literature. I was diagnosed with walking pneumonia, I am a type 2 diabetic, with the diabetes under control .I also have a sensitivity to most drugs. I requested to the urgent care physicians assistant that she prescrib a Z-pac as that in the past (more than 5 years ago) it worked for me and was well tolerated by my sensitive system. She insisted that her facilities protocol was to prescribe Doxycycline and it was essentially the same as the Z-pac. I was given a dosage of 2 per day for 7 days. It mostly cleared my pneumonia symptoms but really wore me down significantly. Less than 24 hours after taking my last dosage, I started experiencing stomach discomfort. Over the next several hours the pain level increased radically accompanied by significant stomach distentia. Early in the morning my wife took me to our local hospital’s ER where after testing it was discovered that I was suffering from acute pancreatitis. My GI doctor and I agree given my history that Doxycycline is the primary reason for the onset of the acute pancreatitis, and now I’m in the middle of a painful and expensive 3 day hospital stay. Doctors, researchers and clinicians should make effort to seriously investigate this link and to warn patients of the real danger of taking this drug. I am sorry to hear you suffered from acute pancreatitis. I have not seen pancreatitis due to doxycycline in my practice. The blog was referring to a case where pancreatitis was thought to be related to doxycycline. Instead, it was more likely to be due to poorly controlled diabetes, a common cause of pancreatitis. Thanks for sharing. Yes something to say. I’m a 40 year old male, who suffered a pancreatic episode on 2016 due to gallstones and had it removed back then, end of the story. 2 years after ended in the er with a diagnosis of acute bronchitis and a viral infection, something the doctor labeled since he couldn’t figure out. Treated and sent home with a Rx for doxycycline 100mg twice a day. On day four returned to the er with acute abdominal pain, vomiting and overall weakness. Trying to connect the dots find out that one of the possible side effects of the antibiotic was pancreatitis, and indeed was having acute pancreatitis that turned chronic. Till today still suffering with symptoms of the pancreatitis like abdominal pain that radiates to the liver area and my back close to the kidneys area. Hopefully will never have to take any antibiotics for any reason, and if I have to would go with one that already tried before, like the traditional one good ol penicillin. Hopefully they banned that specific one due to the high risk for pancreatitis. Sorry to hear you had problems with pancreatitis. The case discussed was a complication of diabetes rather than pancreatitis. Have you heard of any patients that were treated for Lyme disease on Doxy that later developed Type 1 Diabetes? This happened to me. I was a healthy active 29 year old and got Lyme. then 4 years later was dx with Type 1 Diabetes. I was on a cycle of Doxy to treat the Lyme disease. I have always thought that the two were related some how. Thank you for any insight you have on this. I have not seen Type 1 diabetes develop after Lyme disease. They are both common conditions.